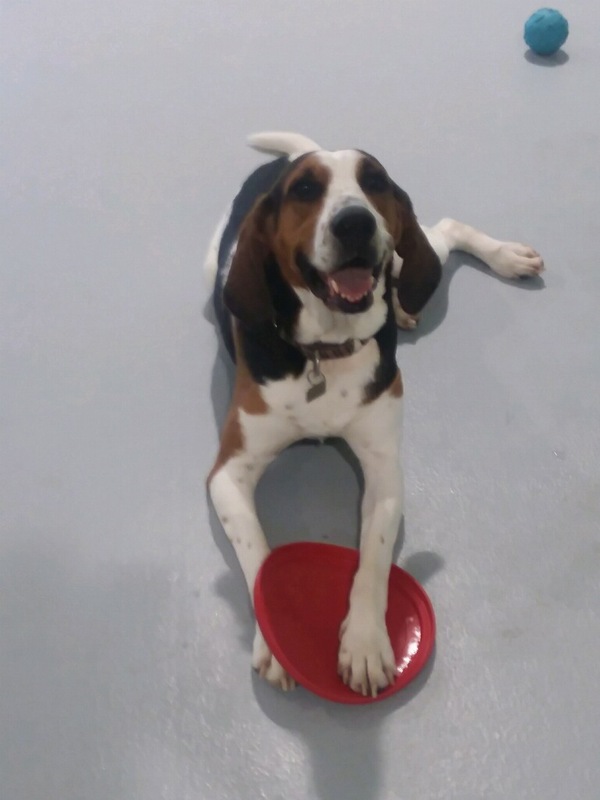 OUR MISSION is to provide a safe, fun place for your dog to play and socialize. We strive for every one of our dogs to be comfortable and confident while with us here at It’s A Dog’s Life Resort & Spa. We accommodate the friskiest small dogs, the most rambunctious big dogs, and everyone in-between! We can also provide a quiet place for older or convalescing dogs. Our daycare services follow the Off-Leash Play and exercise. We focus on providing the highest level of quality care and attention to every furry client and their owner. Our highly-trained team members love what they do. While staying with us, your dog will enjoy activities like fetch, tug-of-war, toy chase and cuddle time. You can also check on your pooch via our live online HD webcams in both our playrooms. Specialized products & retail will be available for sale on our website and at our facility. Team Members are certified in Pet CPR & Emergency tactics, trained off-leash playgroups, pet temperaments and dog signs / indicators. Communication is essential to our success. Bringing your dog to stay with us is a huge trust factor, in-turn we will provide you updates and live streaming of your dog's while in our care. We offer daycare, overnight boarding, grooming, spa and training services at one location. All new furry guests must join us for this day, where we evaluate your pet, as well as give them the opportunity to evaluate our team, building and other guests to see if they like us as much as we do them. When A Dog Speaks....We Listen!! Our team is highly knowledgeable and trained in understanding your pets body language and actions - when they have reached their threshold, we will remove them from play, to ensure their safety. Their health & safety is our number priority. So rest assured, if you see your pet leaving early, it's because they have told us they need to. Enjoys putting our playgroups together every day and understanding the dynamics (temperaments and demeanor) of each furry guest that visits us either for the day or for an extended stay. Having worked here for over 12 years, she has an innate ability to perform evaluations on our guests to ensure that they are always interacting with their like mates. Joining our family, Nikki is here to help ensure that your team members are provided consistent and up to date training & education. Her expertise in training & education, business solutions & services, as well as having extensive dog care/boarding and rescues experience has helped us to cultivate the most optimal daycare, boarding, grooming and training services that will ensure our guests safety and care is gratifying for each individual guests and that it caters to all our clients needs. We are excited that she has chosen to come and make our dream of ensuring A Million Wags A Day..... And Thousands Of Kisses Too!! Our CTO is responsible for "testing" all our treats and food that we offer our guests. Luna has a culinary background and has been taste testing since a pup almost 4 years ago. Her normal testing process is to gather guests and line up a series of treats under consideration...... Wow, what a process. Her passion and love for dogs speaks in her desire to kiss and hug all our pets each and every day. Haylee is the reason our Team motto of “Thousands of Kisses Too……” exists…..There aren’t kisses too wet that Haylee won’t accept…… Her knowledge of dogs and their appropriate play groups in integral to our daily customized play group concept. Haylee is currently in school studying to be a Vet Tech – stay tune as we update you on her school progression. Luna has joined our staff and works side by side with River, Scout Bella, Lucy and Jameson on what treats to provide our guests when visiting us. This is a very tedious and difficult position, yet she has the determination and stamina to endure the difficult decision making of such a high profile position. If you haven't met Luna yet, be sure to ask for her at your next visit. Bella & Scout have both been working with us for almost 2 years and were recently promoted to Playroom Coordinators and ensuring that all our guests enjoy their playtime and that the time they spend with us is filled with fun and safe play activities suited for each and every one of them. Who doesn't know River. His job is very tedious, he must roam the building all day ensuring that the furry shenanigans and play is endless fun. River can play in any group - any size and still keep them all happy and active. He instills socialization and shenanigans all in one play event. There is an energy that he is capable of bringing to this business that makes coming here very exciting. to ensure that every inch of our facility is thoroughly cleaned daily.